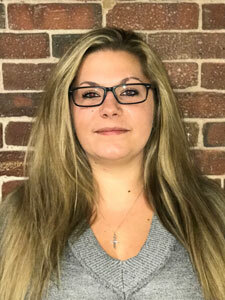 Responsibilities: Cassandra oversees the management staff and agents of the Lowell site with the day-to-day operations. 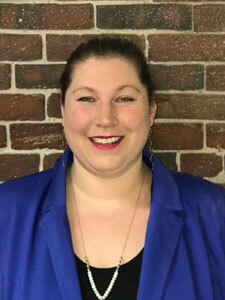 She works closely with the Sales department, management staff and agents to ensure the clients expectations are being met throughout the life cycle of the program and maintains active communication with their clients. Experience: Cassandra comes from a background of business management and business development. She started at Call Center Services in 2010 as a Business Development Specialist. She was later promoted to Client Services Manager then General Manager. Responsibilities: Kristina currently heads up the Sales Department for the Lowell site. She works alongside of the Operations team to ensure the client’s needs and requirements are being met. 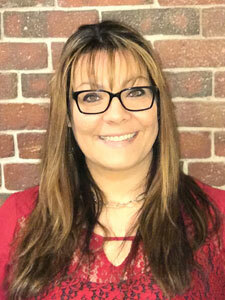 Experience: Kristina has been with Call Center Services since March 2000. She has held several positions from Business Development Specialist, Program Specialist, Call Center Manager, Client Services Manager, General Manager and now currently heading up Sales. Kristina obtained her call center knowledge over the past 18 years hands on, from being on the phone, training/coaching/monitoring, managing the call center, being the day to day contact for our clients, managing the site and now selling our services. Responsibilities: Mariah is responsible for the correspondence between clients. 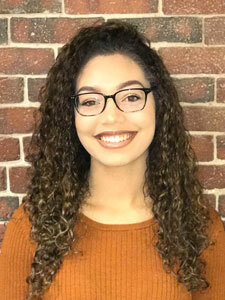 Mariah helps manage and develop the performance of campaigns and provides feedback and suggestions for the campaigns to drive successful programs. She is also responsible for developing all program call guides, Q&A client reporting, provide client updates and ensure that our clients are satisfied with their results. Experience: Mariah started at as a Business Development Specialist for the company in 2014 and has also held positions as the Program Specialist and Trainer, Client Service Manager and Sr. Client Service Manager and now has a dual role, which includes Assistant Manager. Responsibilities: Over ten consecutive years with Call Center Services. My current role as DBA involves ETL (extract, transform, and load) of client data, CRM set up, internal data analysis, customer facing reporting, document distribution, maintain the outbound call queue. Experience: Army Veteran, B2C appointment setting manager, years of top performing B2B calling, and held the position here of Quality Control/Program Trainer. I also have a decade of cold calling expertise and a passion for data gives me gives me insight into what does and doesn’t work. I am also a lifelong learner. I take many online classes, both free and at cost. Also, I have experience with C++ in college and later continued my programming education by getting my first C# certificate in 2012. I often audit MOOCs, from the best institutions in the world. Currently I am taking Machine Learning courses through Dataquest.io. Interests include SQL, Python, C#, Excel, OpenRefine and Tableau. Responsibilities: As the DBA, Rick is responsible for the day to day database management. Including importing/exporting, scripting and reporting. Rick also assists with maintaining the phone and computer systems. 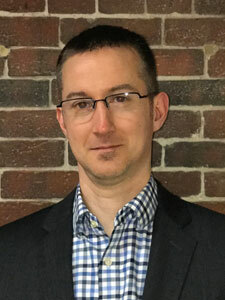 With the program management team and his experience & education in technology, Rick’s main focus is on efficiency, quality and stability of the data being transferred from Answernet to our clients. 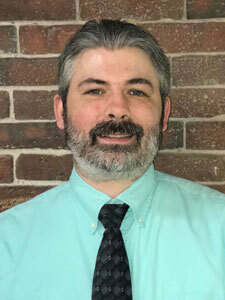 Experience: I am certified PC Support Technician and certified in SQL and Rational Database Planning. Started in 2006 as a Business Development Specialist and then was quickly promoted to Sr. Business Development Specialist. In 2007, I was promoted to DBA. In 2013, I also took on the role for the IT Support of the Lowell site and currently have a dual role of DBA and IT Site Support. Responsibilities: Karen is responsible for day to day and new hire training, coaching and program quality. Experience: Karen has 5+ years call center experience and 15+ year’s office experience. Karen is a graduate of Bay Path University in Longmeadow, MA and holds a Bachelor’s Degree in Child Psychology.